Alexios is a fiercely independent mercenary who is always willing to help those in need. He is youthful and funny, yet behind his good humour hides guilt and anger. He grew up in Sparta with his family, and was trained in combat like a true warrior by his parents. 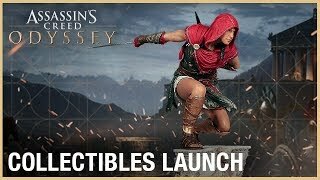 Ubicollectibles is proud to present this new figurine directly inspired by Alexios from Assassin's Creed® Odyssey. The figurine shows Alexios in his complete outfit, with a Spartan sword and the emblematic Broken Spear of Leonidas.